Amazon plans to launch a new grocery-store chain that will be separate from its Whole Foods Market business, which it acquired in a $14 billion deal less than two years ago, according to a report in the Wall Street Journal. Assuming the news report is accurate, the road ahead in the supermarket business for Amazon won’t be an easy glide, however. The grocery industry is a notoriously low-margin business, with a Forbes magazine analysis listing it as one of the least profitable industries in the country, with a net profit margin of 2.2 percent for the year ending July 31, 2017. That means for every dollar spent on groceries, the supermarket clears only slightly more than 2 cents in profit. Still, the report makes some sense. Amazon has been moving increasingly toward a brick-and-mortar strategy to complement its online business model, particularly in its grocery holdings. 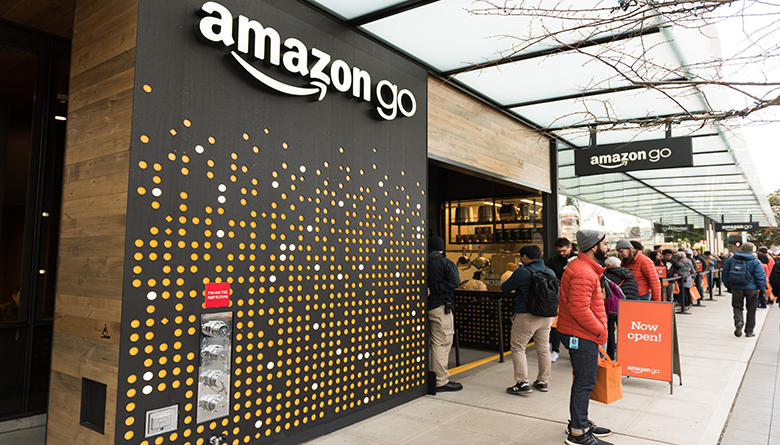 In addition to its Whole Foods grocery outlets, Amazon currently operates 10 cashier-less Amazon Go convenience stores in Seattle, San Francisco and Chicago and reportedly plans to open as many as 3,000 over the next several years. Amazon would be going up against formidable competition in the mass-market grocery-chain business, however, facing rivals such as Kroger, Walmart and Target, as well as regional giants such as H-E-B in Texas, which together operate thousands of stores nationwide in the best locations and with the benefit of well-seasoned supply chains, a Yahoo Finance report points out. But then, who would have predicted in 1994 that an ambitions 30-year-old Jeff Bezos, working with startup capital provided from his parent’s personal savings, would grow his garage-based business into the world’s largest online retailer, with $233 billion in revenue last year and some 613,000 employees worldwide ― and growing. It’s not hubris to set big goals when you’ve already succeeded at that level. On the other hand, more competition in the grocery business at the scale of an Amazon isn’t likely to improve the profit-margin picture for the industry, at least short-term, as the grocery giants slug it out for market share by wooing customers with low prices and coupon discounts. The good news for consumers is they will have more options and possibly lower food-cost inflation for a time, as the battle for position rages on in the industry. The Seattle-based online-retail behemoth expects to open the first grocery store in Los Angeles this year and has signed leases to open two additional stores early next year, the Wall Street Journal report says, citing unnamed sources. The new Amazon grocery chain wouldn’t compete directly with Whole Foods and is expected to sell a wider selection of lower-cost products than the organic products available at Whole Foods. Additionally, the Wall Street Journal reports that Amazon is in negotiations to open grocery stores in San Francisco, Seattle, Chicago, Philadelphia and Washington, D.C. Maybe Amazon will even work a deal with sister Seattle company Starbucks to open coffee joints inside the new grocery outlets ― to ensure shoppers stay charged up during their grocery runs?